Can’t Afford Full Paleo? What’s the Best Way to Compromise? If I Can’t Afford Full Paleo, What’s the Best Way to Compromise? Paleo can be much cheaper than you think, and for many people who “can’t afford” to eat Paleo, it’s really a matter of priorities. If you “can’t afford” Paleo but you “can afford” every season’s latest trends in shoes, the problem isn’t your cash flow. Before you assume that you can’t make it work, check out a bunch of ways to make Paleo affordable here, here, here, and here. But for other people, it’s not a choice between Paleo food and the newest cute statement pieces. It’s a choice between Paleo food and the electric bill. 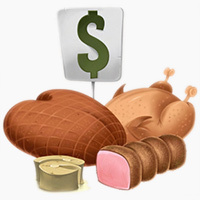 And the hard fact is that if you’re already cooking from scratch, eating cheap carbs is cheaper than eating Paleo. You can get a 1-pound bag of rice or lentils or a box of store-brand pasta for less than $1, and it’ll feed a person for several meals. You can also get a pound of chicken for less than $1 in many places if you know how to shop the sales and use what you can find, but a pound of chicken doesn’t go nearly as far as a 1-pound bag of rice, especially if it’s a bone-in cut like legs or wings. And that’s assuming you’re willing to buy $1/lb chicken: you might be uncomfortable buying factory-farmed meat for ethical reasons, and refuse to buy meat at all unless you can get it from animals that lived a happy life. That’s a legitimate and admirable choice, but it does make budgeting harder. So let’s assume that for whatever reason, you can’t afford to eat full-on Paleo right now. What’s the least-unhealthy way to compromise? Can you still get some of the benefits of Paleo nutrition without going whole hog? Aim for animal protein (meat, fish, or eggs) at least once a day. Aim to get as many vegetables as you reasonably can. Frozen vegetables are perfectly fine. Pick the cheap staple food that does you personally the least damage (more on this below). Pick the cheap cooking fat that does you personally the least damage (more on this below as well). Prioritize animal protein and vegetables over fruit, nuts, sweeteners, and other Paleo luxury foods. You won’t get optimal Paleo results with that diet, but you can use Paleo principles to pick the best of your reasonably available options, and at least get something better than you had been eating before. Cheap staples are the backbone of cheap meals; unfortunately, most of them tend not to be Paleo. The key here is picking which one will be least bad for you personally. From a Paleo standpoint, you’d want to minimize the potential for gut irritation and maximize the nutritional value of the food. Many people will feel better if they avoid gluten grains; it’s at least worth a 30-day trial of staying away from pasta and bread. So what’s left? White potatoes are fine to eat for most people. They’re just as nutritious as sweet potatoes, but cheaper; the idea that sweet potatoes are more nutritious is a complete myth. They may be less than ideal for people who already have an autoimmune disease, but that doesn’t mean they cause autoimmune disease in healthy people: they absolutely don’t. Some people do better with fewer carbs and avoid potatoes for that reason. And even on a moderate-carb Paleo diet, potatoes aren’t meant to be a staple food that you base a lot of meals around: they’re more of a side dish that you eat sometimes depending on your carbohydrate needs. That’s a perfectly valid point, but if you’re working from the premise that you have to pick a carb-dense staple food and you’re just wondering which one to pick, it’s not relevant. Rice is also a decent choice, and from a Paleo perspective, white rice may be better than brown rice (yes, this is the opposite of what you’ll hear almost everywhere else). 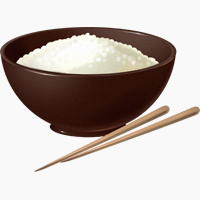 White rice does have a higher glycemic index, but that only matters if you’re eating the rice all by itself with nothing else. If you eat it with fat or protein in a mixed meal, it’s much less relevant. White rice is much less likely to be a gut irritant than brown rice, because most of the gut irritants are in the outer layer. Brown rice wins on vitamin B6, calcium, magnesium, phosphorus, potassium, zinc, copper, manganese, and fiber. They tie on pantothenic acid. Overall, the biggest problem with white rice is how easy it is to overeat, but you can avoid this by cooking it with vegetables, or mixing it with vegetables after cooking, which reduces the calorie density and also adds nutritional value. Add some vinegar for the blood sugar benefits, and it’s not a bad staple. 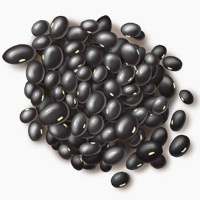 You might also consider legumes (lentils, black beans, kidney beans, etc. ), especially if you soak them properly before eating them. The advantage of these foods is that they have at least some protein (although they’re still much higher in carbs than they are in protein) and that they have quite a reasonable nutritional value. The disadvantage is their potential for gut irritation; there’s no real equivalent of white rice for lentils and beans. If you personally are fine with soaked (and preferably slow-cooked or pressure-cooked) legumes, they’re not the worst option you could consider. Overall, beans and lentils are probably a little better for weight loss, while rice is probably a little better for gut healing. 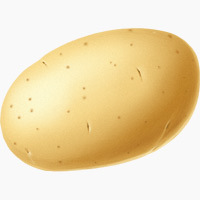 Potatoes are good for both, because they have a lower calorie density than rice and even a little protein, but few gut irritants. Pick your priority and eat accordingly. Another major problem when you can’t afford Paleo is cooking fat. Paleo is all about fat quality: the good fats are really good for you, but the bad fats are really bad for you. Unfortunately, the bad fats (industrial seed oils like corn and canola oil) also tend to be the cheapest ones, and the good fats like extra virgin olive oil (and yes, the extra virgin part is important!) are much pricier. Email any animal farmers in your area and ask if they have raw animal fat You can often get it very cheap or even free. Render it into lard (pork fat), tallow (beef fat), or schmaltz (chicken fat) and enjoy! If you can afford butter and you’re not skipping factory-farmed animal products for ethical reasons, get it. Grass-fed butter is better, but even conventional butter beats soybean oil by a long shot. As a last resort, try to choose high-oleic seed oils. Oleic acid is a monounsaturated fat, so from a Paleo standpoint, it’s preferable to the polyunsaturated fats found in most industrial oils. Everyone should be able to afford to feed their families ethically-raised animal protein, plenty of vegetables, and high-quality fats at every meal. Unfortunately, the reality is that not everybody can do that, and that situation won’t change until we collectively get our act together and stop subsidizing junk food crops, stop letting food industry lobbyists pick our nutrition policies, start investing in sustainable agriculture, and generally make it a political priority. In the meanwhile, everyone still has to eat, and if you can’t stretch your budget to cover 100% Paleo, you can still use Paleo principles to choose from your available options. Pick a staple food that works best for your goals, do what you can with the fats available, eat as many vegetables as you can afford, and try to get animal protein at least once a day. It’s not perfect, but it sure beats a diet of peanut butter sandwiches and pasta.